Separate 4 sheets of Filo pastry from freezer and leave out to thaw for about 15 minutes. Brush a sheet of filo pastry with a little Coconut oil, then add another sheet and brush with oil again. Repeat one more time. Cut into squares or desired shapes. 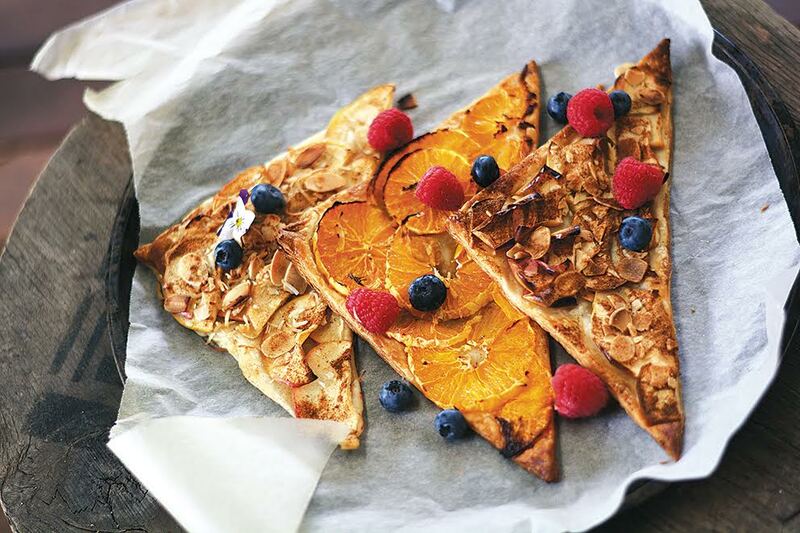 Peel Oranges, slice and lay onto pastry. Add Almond flakes and dust with Cinnamon and Nutmeg. Bake on grease-proof paper for 15 minutes or until the pastry is golden.